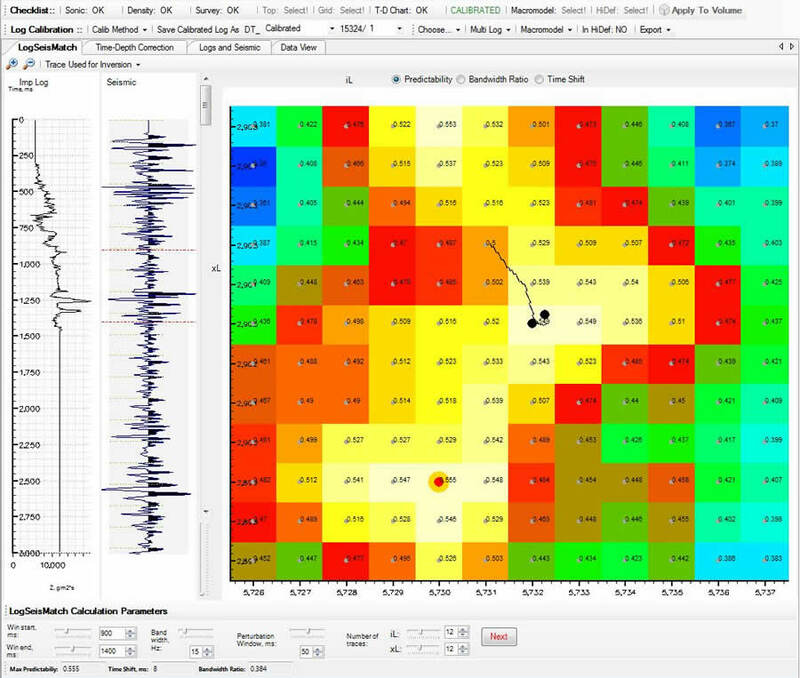 A seismic trace near a well can be selected from a seismic data volume using a shortest distance criterion. However the trace selected in this way may not show a best match with the synthetic trace generated from the calibrated sonic log. 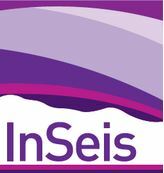 An alternative approach has been made so that a seismic trace is selected according to a match quality between seismic and log segments. All seismic traces within a defined neighbourhood of a well are compared to a segment of the log. The match is computed using their power and cross spectra. The trace with a highest match quality is then selected and later used for well tie analysis, wavelet estimation and inversion job parameterisation. 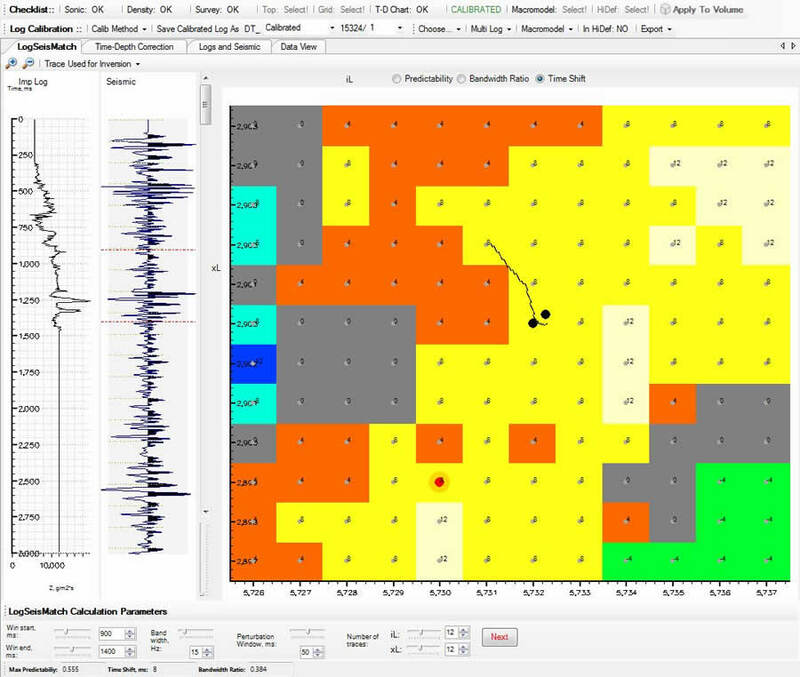 In addition, time shift errors between the log and seismic data can also be calculated and displayed for further assessing the quality of well ties. Predictability map – A seismic trace is selected at a location shown by a red circle. Time shift map – small time shift values indicate a better well tie.